Moving through the narrow staircase leading up to 134 ½ West Second Street – home to Buckham Gallery for the past 30 years – carries excitement and anticipation. Hearing the chatter of guests above and their feet on the creaking wood floors before you reach the top; before the narrow way opens into a large, carefully-lit space where white walls bear contemporary art. The vibrancy of the space is balanced with the contrasting heavy, dark wood beams of the cathedral ceiling. Since it opened in the spring of 1984, the Buckham Fine Arts Project has been the place where many local artists, writers and musicians have experienced, and been part of, Downtown Flint’s culture of creativity. 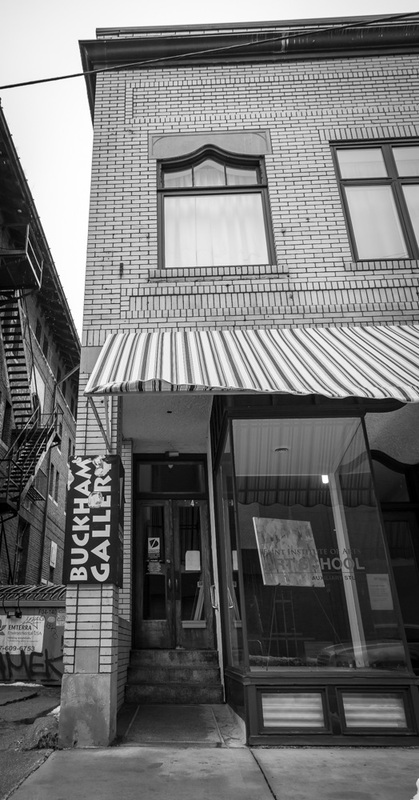 There is no previously written history of Buckham Gallery. Within a few boxes of artifacts containing the original handwritten plans, a typed proposal and articles of incorporation, and a collection of flyers from shows and events, the history of Buckham’s founding and first 30 years is largely in the memories of those involved. Many of the founders have passed away, making an attempt at recognizing the history of the Gallery even more important. It is fitting, in these last winter days, to recall a few words from Richard Wilbur’s Year’s End; “These sudden ends of time must give us pause.” As Buckham prepares for its first move in three decades, we take a look back on where Buckham Fine Arts Project originated and some of the artists who were a part of it, and appreciate a little of what the Gallery has meant to Flint. 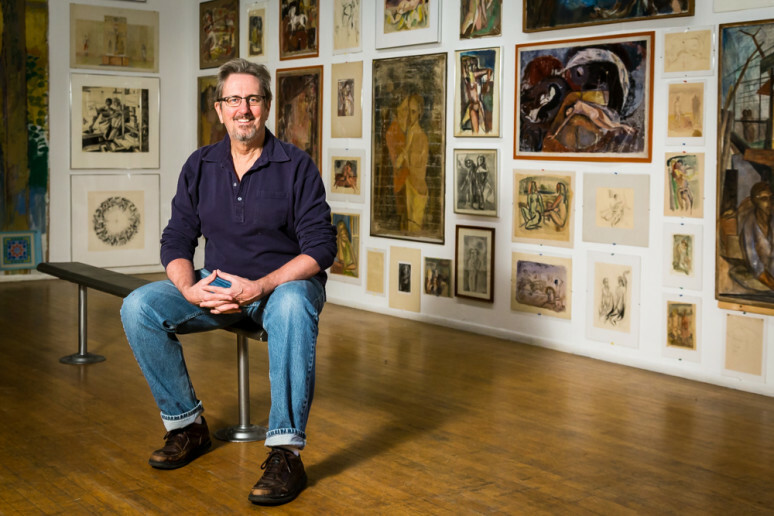 Buckham Fine Arts Project grew largely from a group of friends who taught in the art program at Mott Community College (MCC), which many early members say was one of the best studio art departments in the state. “Mott Community College, of all places,” Adamec says. 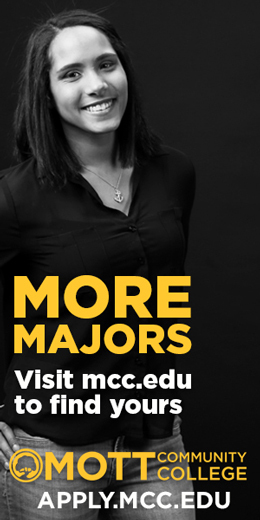 “Students could get a degree from MCC and then get into any other place.” It was through the connection with MCC that this group of teaching artists concluded that Flint needed a contemporary gallery ran by artists. Flint Institute of Arts, in the Cultural Center, served as the community art museum with well-established artists from around the world. What Flint lacked was a gallery focused on local, contemporary art, that could respond to and change with the shifting time. Two examples of Buckham’s ability to acknowledge current events include a special exhibition, “China June 4, 1989 An Art Exhibit,” created by a group of Chinese artists in response to the Tiananmen Square massacre of 1989. More recently, Buckham held an exhibit on the Flint Water Crisis. These are shows that wouldn’t have a space Downtown if the early Buckham founders and supporters hadn’t followed through. The founding members created the place to show their art locally, and to support art in the city as, “an exciting part of the renaissance taking place in Downtown Flint today,” as written in their early call for members. “Tom Nuzum, Bob Caskey and Sam Morello were probably the driving forces,” Adamec states. He calls the decision a, “logical extension” for the group. When Gebhardt offered them the upstairs space, plans transformed into action. The handwritten documents from the files at Buckham record the first meeting date as March 16, 1984, held in Linda Rose’s studio on Buckham’s ground floor. Opening day was a short two months later in May. Current artist member, Shelley Spivack, was the original attorney for Buckham and completed the incorporation and 501(C)(3) application. “My payment was my choice of artwork!” she exclaims. She chose a print by Nancy Toth, that still hangs on her wall today. The Articles of Incorporation listed the names of the “three incorporators” as Thomas William Nuzum, Kathleen Rene Rose and Robert Caskey. 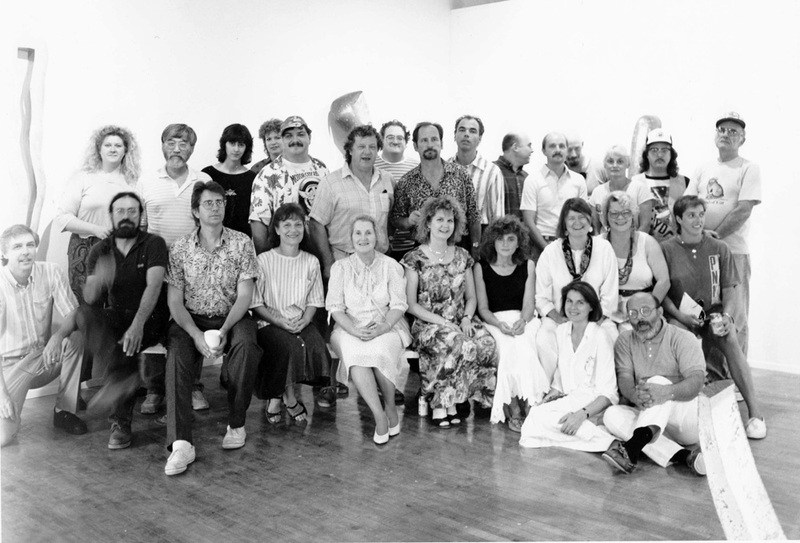 One purpose of Buckham was set, “to actively encourage artists who are making unique and significant statements in their chosen disciplines by providing an exciting environment in which to display or perform their work.” Thirty years of countless shows and exhibits at Buckham Gallery have impacted those artists, as well as the community that enjoys their works. 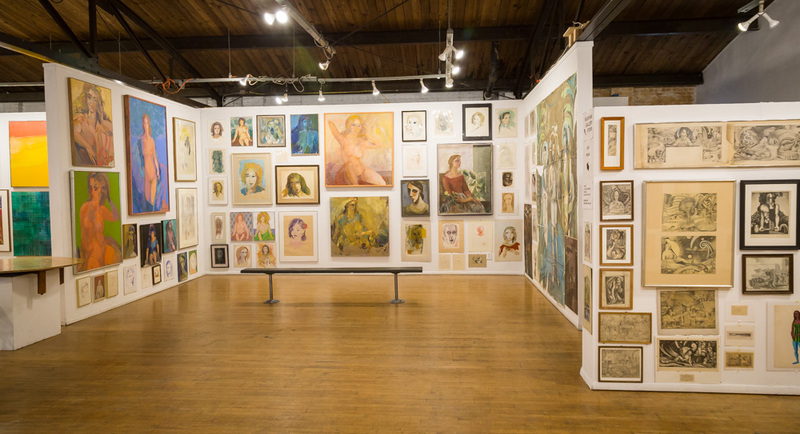 The value of a gallery run by artists is echoed in the sentiment and drive of its members, and in the persistence in each year the gallery has survived. “A place like this lasting is not only uncommon, it is extremely rare,” insists founding member, Sam Morello. Artists groups and galleries often open and then close in a few months. 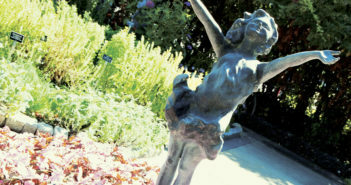 Although Buckham certainly had its struggles, including almost closing for lack of funds, early efforts at fundraising included: cocktail parties, members raffling their artwork, benefit concerts and old-fashioned rent parties, along with applying for community grants. But, much of the diligence it takes to maintain a gallery like Buckham is completely reliant on member volunteer hours. An active member commits their time to a choice of committees that have tasks such as hanging artwork for shows, or handling the finances needed to maintain operations. 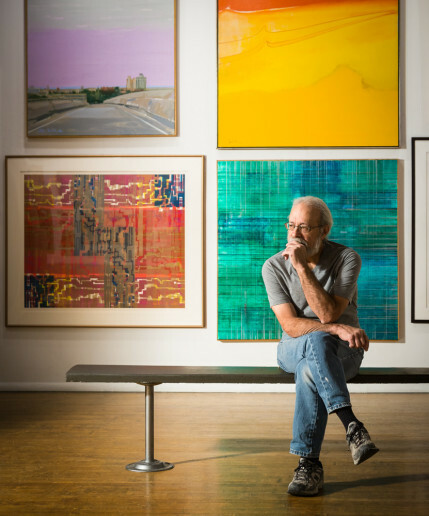 Joe Matuzak, one of the gallery’s first executive directors, explains, “originally, when an organization like Buckham comes together, there is a great pooling of energy, and that is how it was … and that initial energy can begin to wane.” But, it was day-to-day tasks that drained the artists. That was when the committees were formed and positions created, such as executive director, to take the burden from the artists. 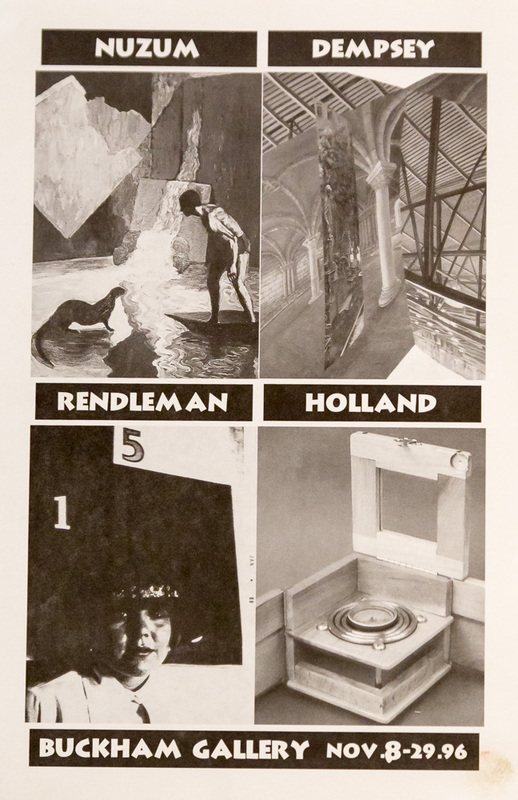 The first exhibition was titled “Enclaves,” and featured installation sculpture by several Michigan artists including Robert Caskey of MCC; Syd Atkinson of Flint; and Jay Yeager, an installation artist then teaching at Eastern Michigan University. As a testament to what art can do for the individual; Bob Caskey, who participated in the first show, created a piece inspired by The Circular Ruins by Jorge Luis Borges, a short story of a man who sets out to dream a man to life. Caskey explained that he had a revelation through his artistic process. 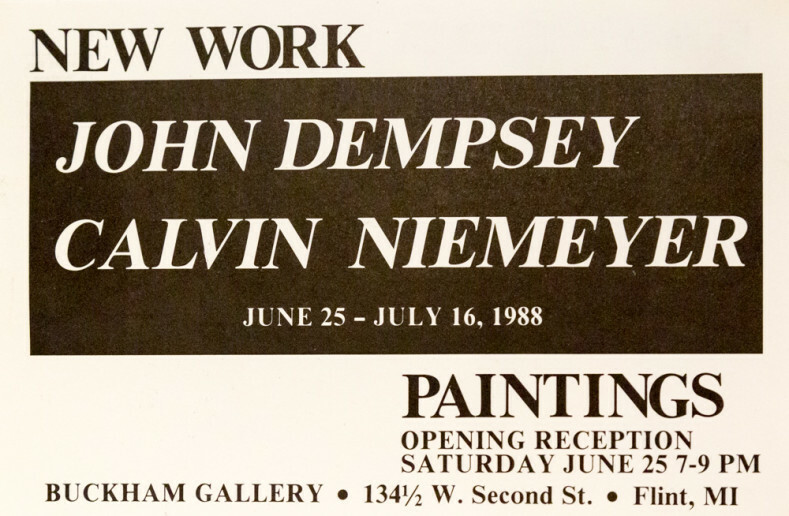 “The act of making art is an act of self-creation … my task is to dream the art piece alive, and myself in the process.” Caskey recalled that first Buckham show experience was one that changed his outlook, and his future artwork. A testament to what art can do for the individual and the larger community, Buckham has been a force in Downtown Flint, dreaming the art scene alive for over 30 years and adding new members every year. After Melet began actively participating in shows, he began to look differently at making art. “I started doing things that I probably would never have done,” he says. 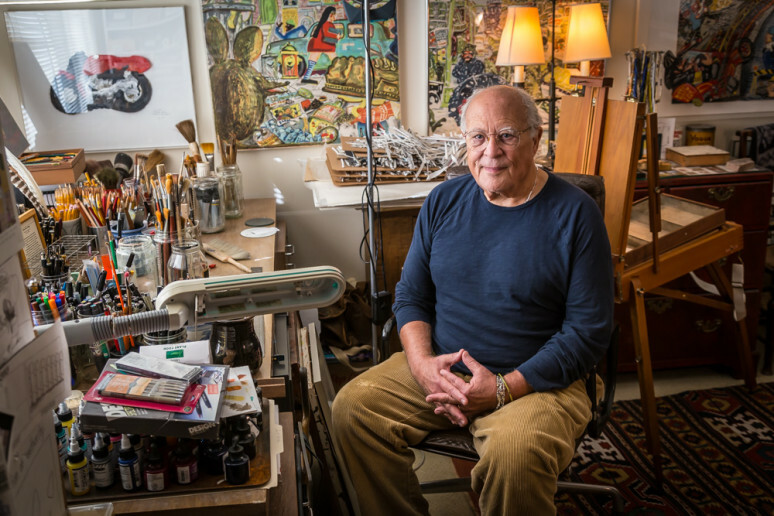 Some of his pieces on the villas in Montauk were made using layers of glass with watercolor and photos, work he attributes to allowing new inspiration to push him into different terrain, which was directly motivated by the opportunity to show his work at Buckham. One of the most recently accepted members, McCoy is finishing her degree in art education and general studio art at the University of Michigan-Flint. She began as a biology major, and first heard about Buckham Gallery from taking Art 100 with Tim Kranz, an artist member who has a studio downstairs in the Buckham building. 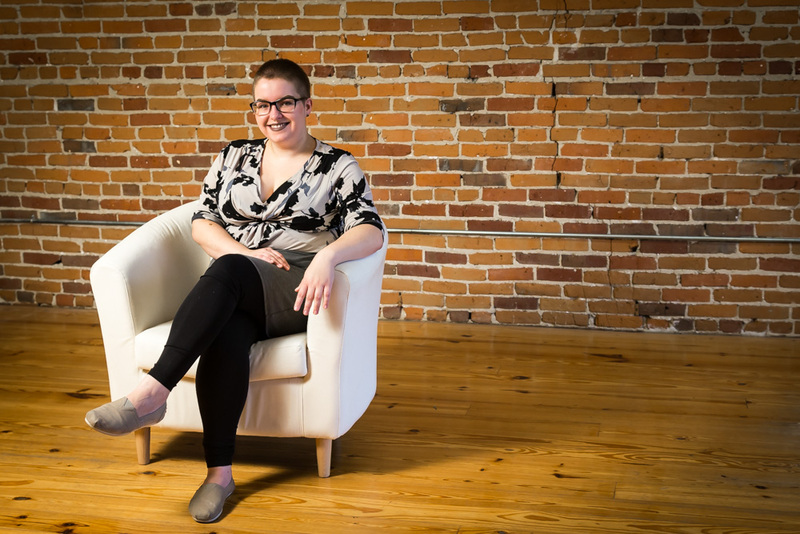 “As I changed my major and transitioned more into art, I noticed that most of the UM-Flint faculty were involved with Buckham in some capacity. That was about four years ago, and ever since, I’ve really wanted to be a member.” In 2017 she applied, and much to her excitement, was accepted as a member. Although the large group of members rarely meets all at once, many of the original members are still connected. 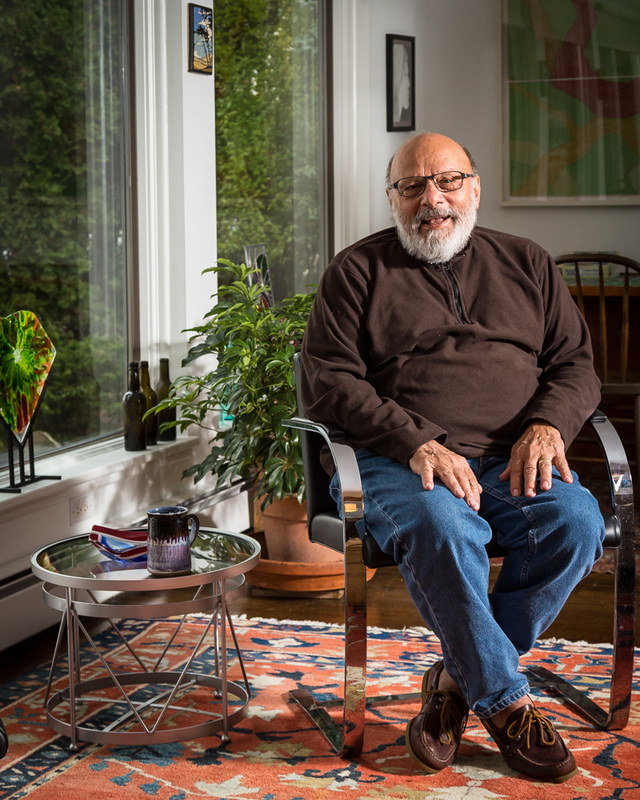 Guy Adamec, who has shown at Buckham every two or three years since the late 80s, says, “I visit friends and they have pieces of mine in their homes.” And, in fact, the connection of these early members to each other’s work is evident in their own homes. 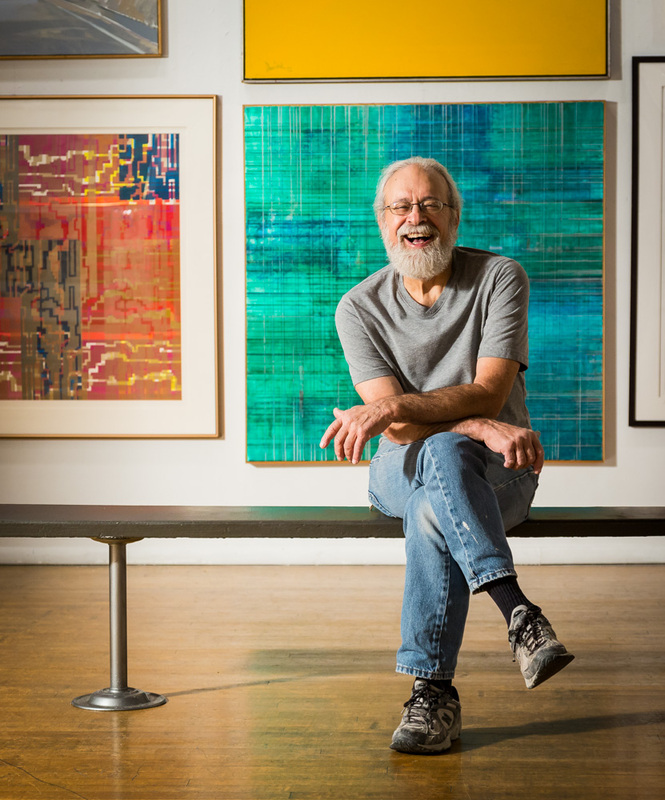 At Founder Sam Morello’s, for example, Guy Adamec’s ceramic mugs are used for coffee and the artwork on the walls includes pieces by local artist, Doug Warner. But, something is changing for Buckham Gallery. Those narrow stairs that early members once carried artist member, Ken Kenyon up, along with his wheelchair, have been a struggle and a barrier for some. “An elevator is restrictively out of our price range,” says Adamec. Without other options, and with the votes of the newer members, the entity that once fostered an entire artist community in Downtown Flint, is now leaving that location. The Board is working with Buckham’s funders to find a new, barrier-free location. For Buckham, the move to a new location seems to signify the end of an era. But, the City of Flint has a vibrant art scene, perhaps only beginning to show its place in Flint’s resurgence. As new members are added every year, perhaps now is the opportunity to start anew, revitalized, and push into the next era with a similar energy that started Buckham back in 1984. If, according to Adamec, “the artists are where the energy is,” The Buckham Gallery Art Project might just be gaining momentum.